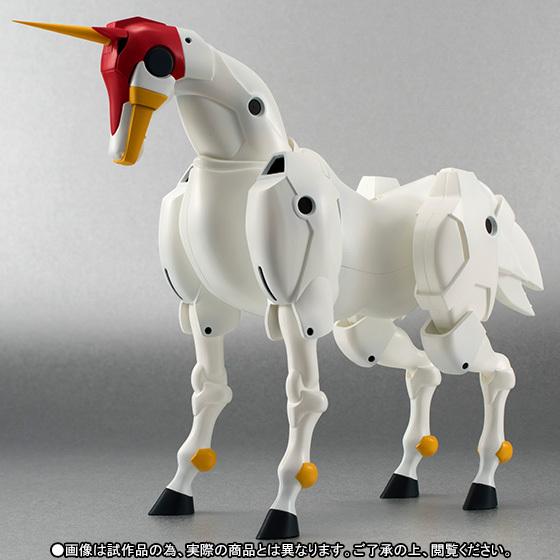 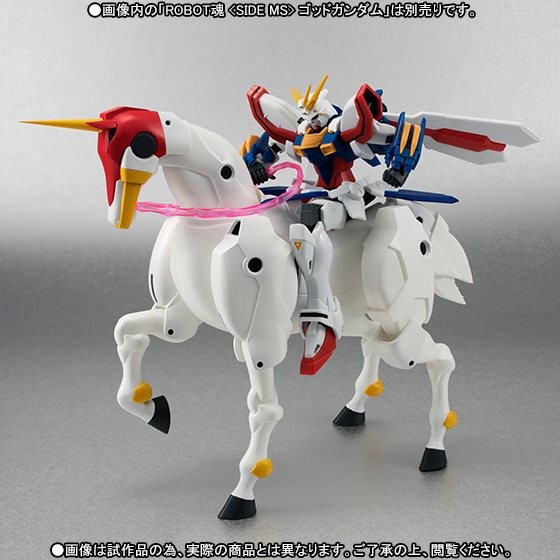 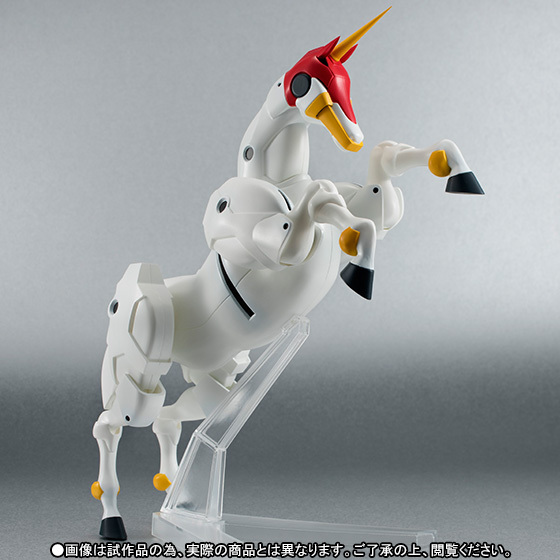 Bandai is releasing the greatest Mobile Horse from G Gundam, it's Fuunsaiki! 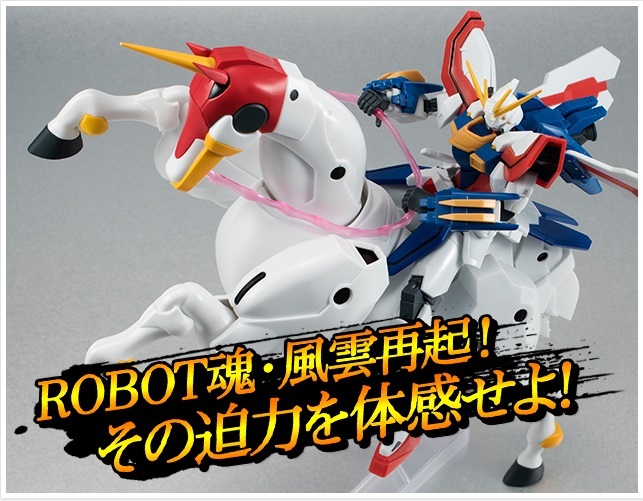 Master Asia's trusty steed has his own giant robot! 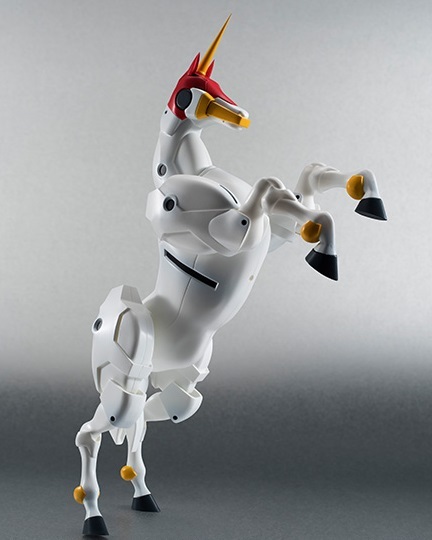 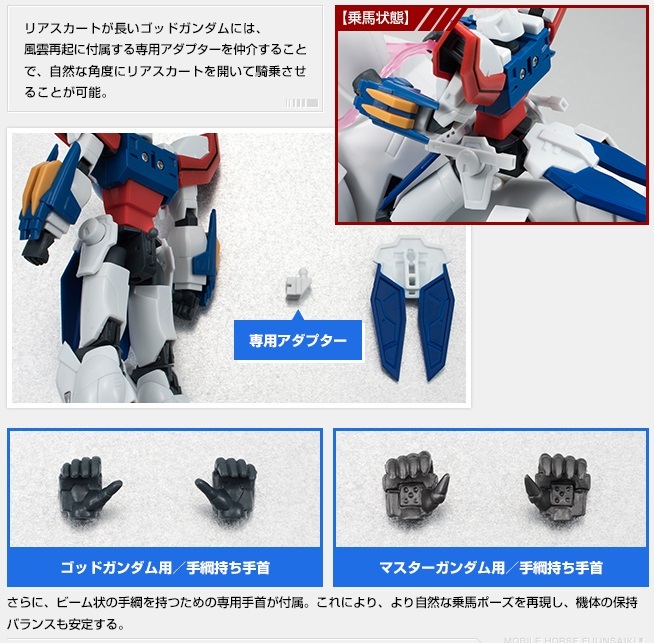 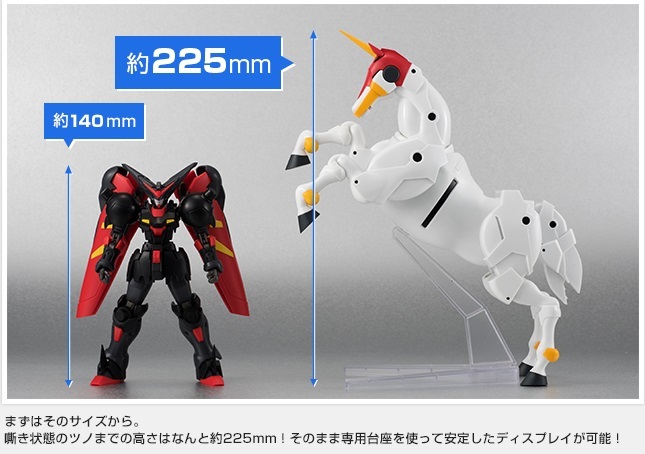 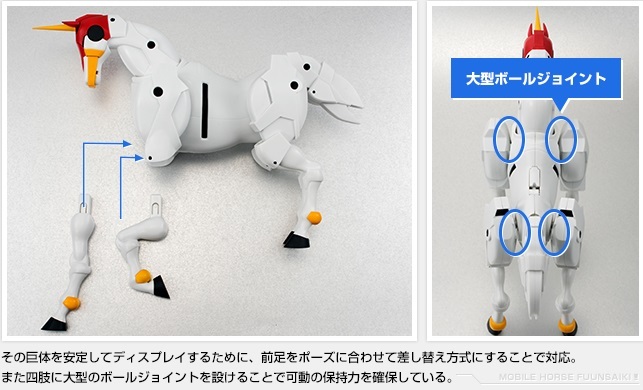 Fuunsaiki comes with replacement front hooves for rearing up, a clear display stand, mounting parts for the God Gundam and Master Gundam, and beam reigns. 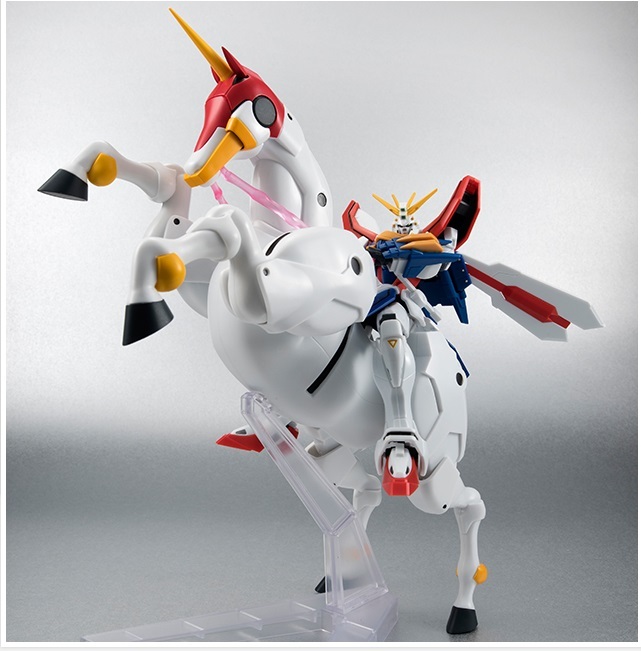 This is a Tamashii Web Exclusive in Japan. 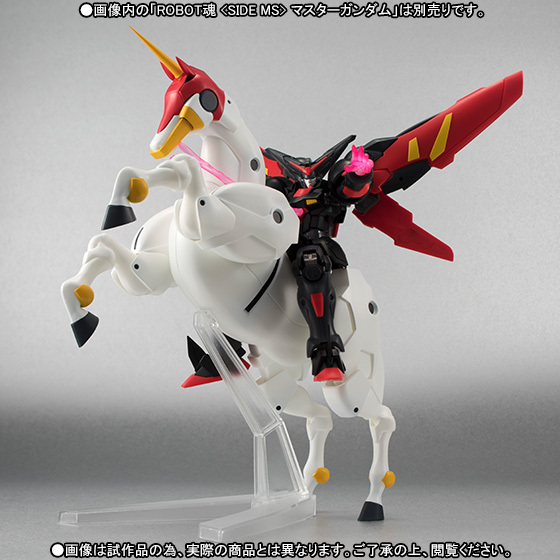 Coming October 2015 for 6,480 yen.